Giles & Kendall is a 75-year old Huntsville-based forest and chemical products company specializing in the processing of Eastern Red Cedar. The company manufactures a wide range of CedarSafe products that include 100 percent natural cedar oil, pressed wood panels, closet liner tongue and groove planks, and cedar accessories. These products are domestically available at Lowe’s, Home Depot, and other home improvement stores. Besides the aromatic scent, cedar is a natural insecticide, repelling moths, roaches, and silverfish. Cedar wood is also used to prevent mildew. Cedar oil is an important product that Giles & Kendall sells to a variety of flavorings and essences companies, many of whom do business outside the US. In any given year, cedarwood oil can account for a third or more of the company’s total sales, so continuing to do business in that arena is essential to their success. All of the cedar used in CedarSafe products comes from the United States, the majority found in the areas surrounding Alabama, Tennessee, and Mississippi. This wood is then manufactured in Huntsville, Alabama or Gainesville, Missouri. The Huntsville location employs 40 people, and of these, around 16 are directly dependent on international sales. 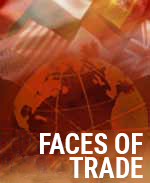 Exporting is vital to the company’s well-being, accounting for over 30 percent of the company’s sales. The cedar oil is sold across the globe, specifically in Europe and Asia for the perfume industry, and the pressed board panels are sold in South America. Although Giles and Kendall has exported for about 20 years, the company is looking to expand into new markets including Korea, China, and Scandinavia to increase sales. While international business can be risky and uncertain, Giles and Kendall is one of the many small businesses that rely on the Export Import Bank of the United States (Ex-Im Bank), the export credit agency of the United States, to finance their exports. Harrison Whitehead, CFO of Giles and Kendall, says, “We insure all shipments to foreign locations through the US Export-Import Bank and because of this insurance, our primary bank can be comfortable including those insured foreign receivables in our overall borrowing base. In contrast, many banks exclude foreign trade receivables.” The Ex-Im Bank allows the company to have protection and assurance, and to be competitive with the rest of the world. The Ex-Im Bank charter is up for Congressional reauthorization this year – as it is every 2-3 years. If it were not reauthorized, small and medium sized businesses could be faced with huge obstacles and lose the ability to competitively export. “We’re sure there are many other companies in similar situations that would also be hurt by the inability to continue insuring their foreign receivables through the Ex-Im Bank,” claims Whitehead. As CEO, Ed Cates, of Giles and Kendall stated, “Taxpayers aren’t paying for it [Ex-Im Bank].” Against popular belief, the Ex-Im Bank has actually earned $2 billion more than operation costs and loan loss reserves over the last 5 years.